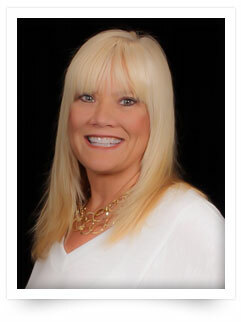 Denise Freeman McGrade received her Doctor of Dental Surgery degree from Baylor College of Dentistry in 1991. She received advanced experience and training through a general practice residency at the Dallas Veterans Administration Medical Center, with rotations in anesthesia and oral surgery. 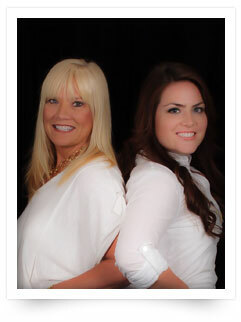 After three years as an associate, she established her private practice in Plano in 1994. Dr. McGrade has continued to pursue advanced education in areas identified as important to her patients. At our office we emphasize the importance of prevention, but services include fillings, crowns, bridges, dentures, implants, and root canals. Dr. McGrade has advanced training in several cosmetic areas, including bleaching (both in-office and home), porcelain veneers, and bonding. Dr. McGrade’s office is up to date with the newest and most advanced equipment, both dental and office. Dr. McGrade was born in Dallas, but grew up in Louisiana, New York, Wyoming, and Illinois. She graduated high school in Glen Ellyn, Illinois, but returned to Dallas for college. She received her Bachelor of Science degree from the University of Texas at Dallas, and performed cancer research at the University of Texas Southwestern School of Medicine before entering dental school. Dr. McGrade married Stephen Joseph McGrade, Jr., of Port Washington, New York, in 1984. They have two children, Patrick and Sarah. Since her own children and those of many of their friends are athletes, Dr. McGrade has developed a special interest in protecting children’s teeth while they participate in sports. She is a member of the Academy of Sports Dentistry, and supports several local recreation teams. Last year, Dr. McGrade created custom mouthguards for the Wakeland High School Wolverines. Ask her advice and assistance to make sure your young sports stars keep their beautiful smiles. Over the past several years, Dr. McGrade has provided dental care to hundreds of residents of rural areas in Nicaragua through the medical missions program at First Baptist Church of Frisco. She describes her mission work as both a joy and a blessing. Dr. McGrade is active in her community, local schools, and her church. She devotes time to serving as mentor, role model, and friend. Dr. McGrade is a sponsor and camp counselor for the Girls in Action program and regularly works with school counselors in career guidance programs. She always has time to talk with young people interested in careers in dental care. Dr. McGrade thinks of her staff and patients as friends. She is extremely proud of the high level of professional training and low turnover in staff. Many of her patients have been with her for more than a decade. She has seen babies grow into teens, and teens grow up to bring in their own children for dental care. Dr. McGrade does mouthguards for several sports teams, local high schools, and recreation teams. Her son plays football and baseball. We talk sports with most patients. She supports all the local high schools by advertising in their individual brochures. The other fun thing patients like about our office is that we show DVDs in the operating rooms while we work on the patients. We seem to have "Friends" episodes on the most and patients talk about it, and how much they enjoy it! Dr. McGrade always lets us dress up and decorate for Halloween. Every year we have a different theme. Watch out on April 1st, too! Dr. McGrade plays the best tricks. Dr. Veronica Lee Perez Mueller received her Doctor of Dental Surgery degree from the University of Texas School of Dentistry in 2012. 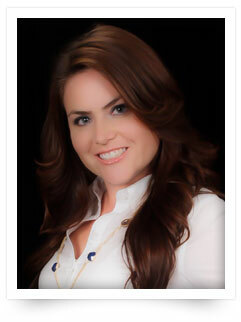 Her professional goal is to combine the highest quality of dental care with personal caring. She believes that optimum oral health results from positive patient-dentist relationships characterized by mutual respect and commitment. Dr. Mueller says that Dr. McGrade, her staff, and most of all, the patients are responsible for her choice of profession. In the summer of 2004, when she was a freshman at Southern Methodist University, Veronica accepted a job in Dr. McGrade's practice. There she discovered the true meaning of family practice — a practice in which your patients become your family. As Veronica moved from the dental office to the lab and clinic, she learned to appreciate the role a dentist is privileged to play in the health and lives of her patients. By the end of that first year, she knew she wanted to be a dentist — to help others through her knowledge and skill. As she pursued this goal, she has been motivated, supported, and encouraged by Dr. McGrade, her staff, and the patients. "Together, we have shared deaths and births, jobs and sorrows, funerals, weddings, and graduations. In joining the practice, I feel I am coming home. Being Dr. McGrade's associate is an honor and a precious responsibility." A 2008 graduate of SMU, Dr. Mueller was born in Germany, where her father, Colonel Angel Perez, a career officer with the U.S. Army, was stationed. With her mother, a teacher, and her younger brother, now an artist, Veronica grew up an "Army brat," living in many locations, including Illinois, Louisiana, Florida, Virginia, and Texas. In December 2010, she married a Dallas native, John Christian Mueller, a firefighter and emergency medical specialist. The couple's mutual commitment to Christian service is partly expressed by their work as medical and dental volunteers sponsored by the North Texas Missions in Central America.